IOS server load balancing with mininet server farm | CCIE, the beginning! The idea is to play with IOS load balancing mechanism using large number of “real” servers (50 servers), and observe the difference in behavior between different load balancing algorithms. Due to resource scarcity in the lab environment, I use mininet to emulate “real” servers. The publically announced IP address of the server is called Virtual IP (VIP). Behind the scene, the server services are provided not by a single server but a cluster of servers,“real” servers with their real IP’s (RIP) hidden from outside world. 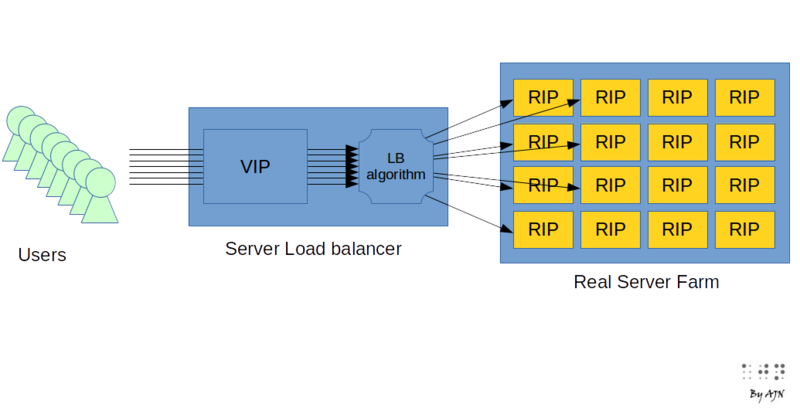 The Load Balancer, IOS SLB in our case, distributes user connections, sent to the VIP, to the real servers according to the load balancing algorithm. Weighted Round Robin (with equal weights for all real servers): New connections to the virtual SRV are directed to real servers equally in a circular fashion (Default weight = 8 for all servers). Weighted Round Robin (with inequal weights): New connection to the virtual SRV are directed to real servers proportionally to their weights. Dispatched NAT Virtual IP configured on ALL real servers as loopback or secondary.Real servers are layer2-adjacent to SLB.SLB redirect traffic to real servers at MAC layer. Directed VIP can be unknown to real servers.NO FTP/FW support.Support server NAT for ESP/GRE virtual servers.Use NAT to translate VIP => RIP. Server NAT VIP translated to RIP and vice-versa.Real servers not required to be directly connected. Client NAT Used for multiple SLBs.Replace client IP with one of the SLB IP to guarantee handling the returning traffic by the same SLB. The lab deploys Directed session redirection with server NAT. The lab is running on GNS3 with mininet VM and the host generating client traffic. Bridge and attach guest mininet VM interface to the SLB device. Bring up the VM interface, without configuring any IP address. The script builds mininet machines and set their default gateways to GNS3 IOS SLB device IP and start UDP server on port 5555 using netcat utility. Sticky connections are connections from the same client IP address or subnet and for a given period of time should be assigned to the same previous real server. The sticky objects created to track client assignments are kept in the database for a period of time defined by sticky timer. A connection for the same client already exists. the amount of time between the end of a previous connection from the client and the start of the new connection is within the timer duration. The server assigns the client connection to the same real server. A FIFO queue is used to emulate sticky connections. The process is triggered randomly. 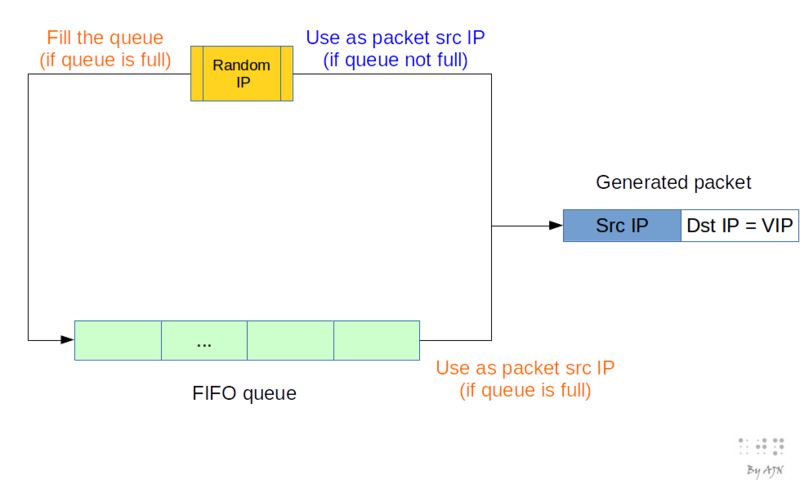 If the queue is not full, the ramdomly generated source IP addresses is pushed to the queue, otherwise, an IP is pulled from the queue to be used, a second time, as source of the generated packet. otherwise, an IP (previously generated) is pulled out from the queue and reused as source IP. 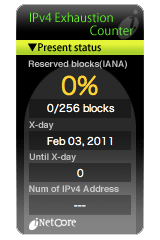 The router has already started associating incoming UDP connections to real server according to the LB algorithm. Hello Ajnouri, I just went through your article and we are we are doing a project very similar to yours. We are stuck with the load balancing code and we are trying to implement a weighted round robin and weighted least connections. Can you please guide us further? Also it would be great if you could give us the code for our reference. Thank you! Hi Geeta, are you deploying LB with IOS? How many servers are you balancing? And what application they serves? here you generated traffic using the python script, cant we generate traffic using a GNS3 tool OSTINATO ? and did you run the traffic generator python script inside mininet vm ?